When you think about it, the way that we feed our cats is actually quite unnatural. When you think about it, the way that we feed our cats is actually quite unnatural. Cats are hunters by nature, and typically stalk their prey before catching and eating it. Domesticated cats are fed in bowls, which takes some of the entertainment and exercise out of feeding. A new product called NoBowl is designed to change that. 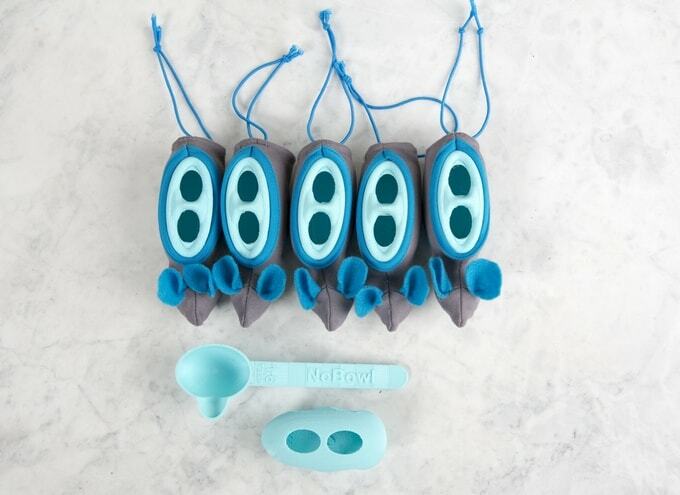 The NoBowl feeding system consists of small feeders, each with two holes, designed to roll about and mimic the movement of a mouse or other prey animal. You can even put a cover over the feeder to further resemble the feel of a prey animal, encouraging your cat’s inner hunter each time that he’s fed. Invented by Dr. Liz Bales, NoBowl is an indoor hunting system. There are many potential advantages to this approach, since it can keep your indoor cat active and entertained, and helps to encourage a more natural lifestyle. 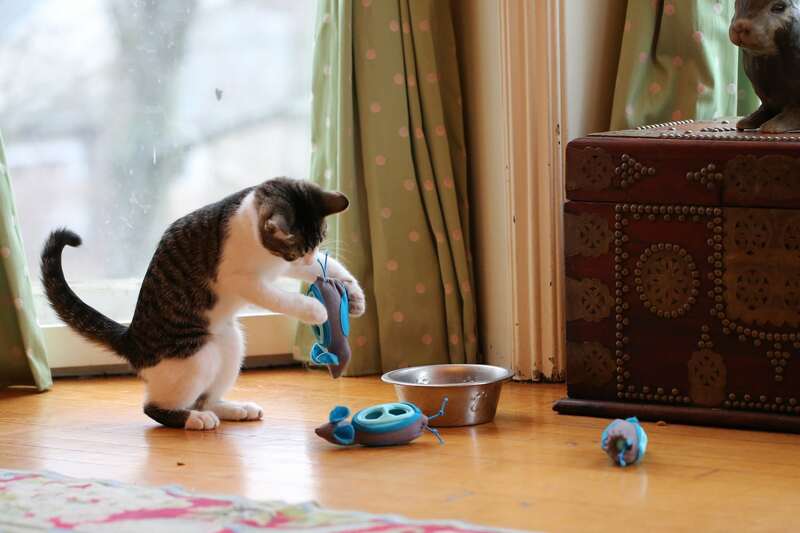 If your cat frequently bolts down his food, using this system could help to slow him down. NoBowl is in its beginning stages – its Kickstarter has been wildly successful, and still has about two weeks left to go. Wondering if NoBowl might be right for your cat? Then be sure to keep an eye on its website, as more production and availability details are sure to come.